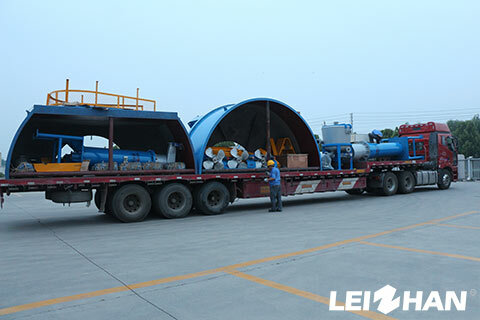 Recently Leizhan signed a fireworks paper making line to Wanzai Jinke paper industry. It is great that this is not the first time that we provide paper and pulp machine to Jinke paper industry. Two years ago Jinke firstly choose our equipment: a whole set of paper pulping machine. Wanzai is honoured as the home of fireworks paper. It’s a pleasure that our equipment can be chosen and work there. Firework paper is quite common used in China. Every spring festival, or when paper want to celebrate something, they will shoot off fireworks. Therefore, the quality of fireworks paper is very important. It should be shockproof,moistureproof and easy to transport and move, and the most important thing is it show be firm enough to bear the impact force when firework is shoot off. Considering all the requirements, corrugated paper is the best choice. Have been installed machine: A whole set of 400t/d pulp equipment, including conveying, pulping, screening and refining machine. Leizhan provides various kinds of paper and pulp machine, welcome to contact us.